Dear Gluten Free Friends: This post is very whole wheaty and not at all helpful to your gluten free life. I’ve got your back though because as you know, many of the recipes here on my site are naturally gluten free. 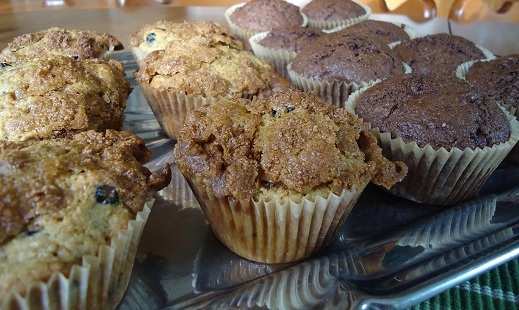 After all, while I do love freshly ground whole wheat flour, I also love variety and breadless recipes. So just for you: 100+ Gluten Free Recipes. Click on over and have at it. Love ya much! See the difference in grains? We took this picture while traveling through Kansas a few years ago. As a newly-wed I remember visiting someone’s house where they served homemade rolls made exclusively with whole wheat flour. I tried to like the rolls, but I was used to white rolls made with all-purpose flour, and these rolls just weren’t the same. 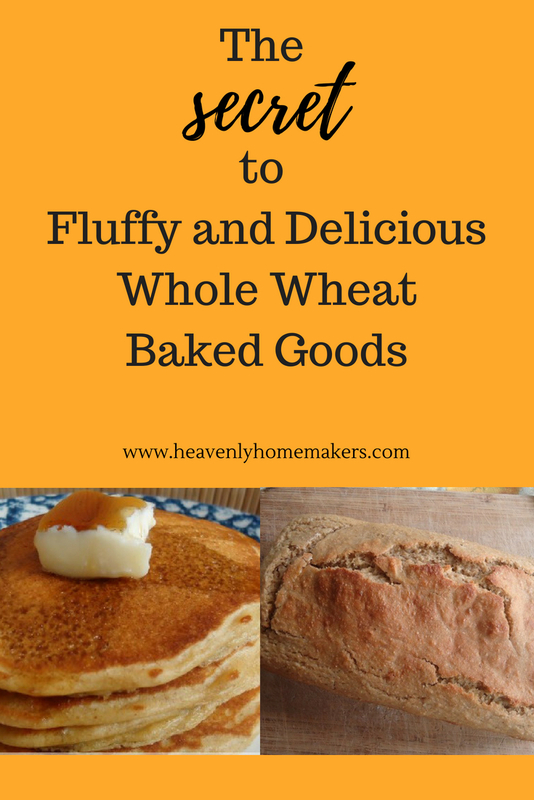 I decided that I simply didn’t like whole wheat flour, and really, I didn’t like anything considered to be a “health food.” (I thought eating healthy meant I had to eat rice cakes and bean sprouts for every meal.) I continued on my merry way where I ate very few fruits and veggies, drank about a liter of Pepsi every day, and made oodles of delicious cookies and cakes with white flour. That is the moment I learned about the different varieties of wheat and the deliciousness of grinding grain into flour. (I never actually knew people did that. Grind your own flour? Seriously?!) I was intrigued. I researched. I asked questions. I saved up for a Nutrimill, stocked up on hard white wheat, and the rest is history. Oh how many wheat you meet. Look at me. I’m Dr. Seuss. What Kind of Flour is Best if You Don’t Grind Your Own? What is Pastry Flour, Where Do I Get it, How Do I Use It? It’s hard to see the difference in the picture. Hard is more pointy. Soft is more round. There. Does that help? Let’s talk about how you can make the most amazing whole grain cookies, cakes, muffins, pancakes, waffles, and pastries. Grinding just one kind of flour made life easier. Finally, after the recommendation from many of you, I gave soft white wheat a try. 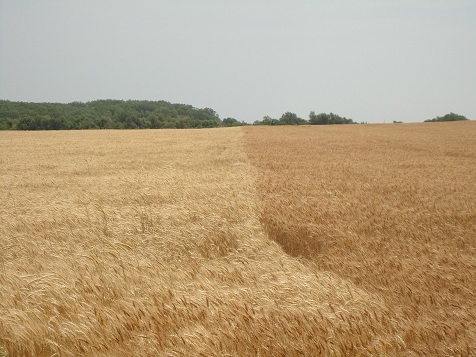 This is the variety of wheat that, when ground, produces whole grain pastry flour. I used it first for pancakes, then I used it for muffins, then I decided that I had waited way too long to try this. Pastry flour makes a huge difference in the density of baked goods! Whole Wheat Pastry Flour (ground from soft white grain) is almost like using white all-purpose flour. It is light and fluffy and baked goods I make with it turn out really delicious. Simple as that, freshly ground Soft White Wheat is the secret to turning out amazing baked goods. Remember though, if you’re making a yeast bread, you still have to use Hard White (or red) Wheat. I now love both hard and soft white varieties and keep them both on hand at all times for all our baking needs. you have to try this easy Stir-and-Pour Bread. Because of this recipe, I will never knead bread again. 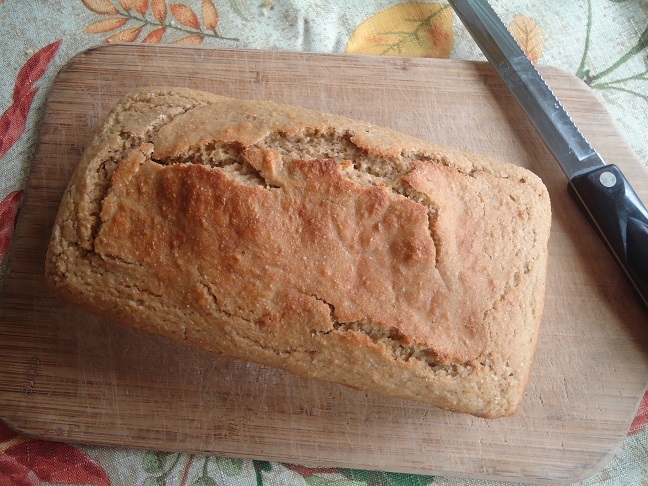 Use hard wheat for yeast breads. Use soft wheat for everything else. Or use hard wheat for everything – but I’m telling you, soft wheat (which produces whole wheat pastry flour) is wonderful to work with! Most don’t even realize they are eating whole grains when they eat any of these goodies! For that matter, the recipes that are low in sugar don’t seem to phase people either. Who knew eating healthier could taste so good?! 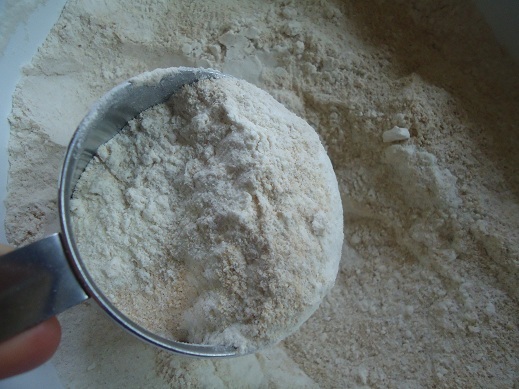 Do you grind your own flour? What is your flour preference? 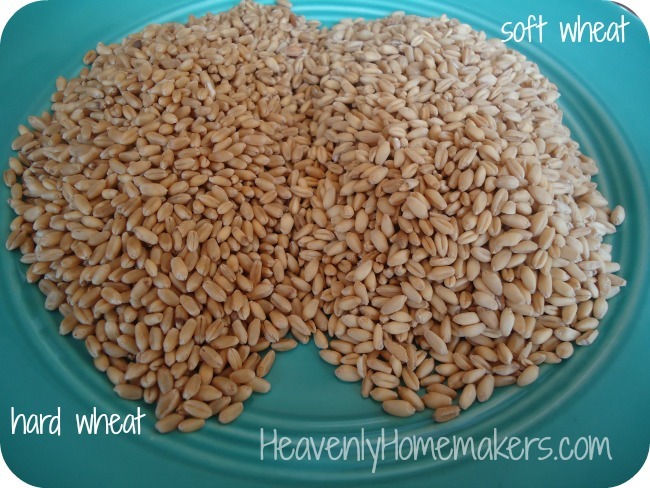 Have you tried soft wheat (pastry flour) or do you stick with hard wheat for every recipe? Looking for a great Grain Mill? I have and highly recommend a Nutrimill! What about for tortillas? Wouldn’t you want to use hard wheat for those or would soft be preferable? I find that the gluten in hard wheat helps tortillas hold together better. Soft wheat doesn’t work for me as well in tortillas. Just starting to grind flour again. I have bought a nutrimill and used it few time and then life happen with some mountain to overcome. Now I getting back into eating healthy and grinding my own flour. Slow and steady wins the race. That’s right, good for you! Is there a price difference between buying the two grains? I don’t have the grinder (am considering one), and I just buy my flour in bulk from Azure. Their pastry flour is about twice as much as hard whole wheat flour. Is the soft wheat that you grind that much more? Also I too am a stir-and-pour convert, but often my loaves crumble when I’m cutting them for sandwiches. Does this happen to anyone else? Any help as to what I’m doing wrong, or is this bread just prone to that when it’s made in a loaf form? ( I don’t add the cream, but other than that follow the recipe.) I really want to make this bread instead of the kneaded kind, but we do lots of sandwiches here. Lately soft wheat has been priced a little lower per pound than hard wheat ($57 for 50 pounds of hard wheat and $43 for 50 pounds of soft wheat) – another reason I started using soft wheat more often. It’s strange then that the pastry flour costs more!! I’ve been skipping both the cream and the egg in the stir-and-pour bread (mostly just for ease to throw it together). Mine does crumble a little, but no more than my kneaded version. It works best for me if I wait until the bread has cooled completely before slicing. Soft wheat is SO much better for pie crust, too! When I attempted pie crust with hard wheat, it just fell apart. Soft wheat produces a crispier waffle and more tender biscuit and muffin, for sure! I’ve noticed that there are several different Nutrimill’s, which particular one would you recommend? I too would like to know this. Thanks for asking, Kelley! There is also the Harvest NutriMill, which is the one I have. It is a stone grinder instead of an impact mill. I love it because I can grind to any texture, from superfine to merely cracking the grain. Okay, I have been meaning to ask you this question for a while, and I hope you or another reader knows the answer. I don’t have a nutrimill, but recently was able to save enough to buy a refurbished Vitamix. I purchased some white wheat berries and have been grinding them in the Vitamix. What I am finding is that it is still a little course when it is done and the baked goods do show that trait when finished. Still delicious, but a definite “healthy texture”!! I am comparing it to the King Arthur’s white whole wheat flour that I normally use. Would you say this is just how home ground wheat is, or that a Nutrimill definitely gets a “smoother” result? Does anyone have both machines to compare results for me? Thanks!! Hi Shelby – I don’t have a Vitamix to give you a comparison, but I’ve used a couple different grain mills over the years, as well as using my Bosch blender to grind grains, and I’m certain that the Nutrimill will absolutely give you a finer flour. It has a dial so you can choose how fine or coarse you want to grind your grains. I’ve always kept my dial at the finest grind setting and everything I make comes out nice and light, not dense at all. The only change I make is when I grind corn; it’s a bigger grain and I have to turn the dial towards a coarser setting to get it to go through the chamber. The cornmeal still comes out very fine, though — it made a cornbread convert out of my husband, who hated cornbread! The biggest reason I grind our grains instead of buying whole wheat flour anymore is the health factor. When the wheat kernel is broken open (as when grinding), oxidation immediately starts to occur. If the flour is then left at room temperature, all the vitamins, minerals and enzymes in the wheat (there’s over 30) are almost completely gone within 72 hours (freezing the flour slows the process to about 30 days). And because the wheat germ contains oil, it also means that the flour starts to go rancid in that period of time. Most whole wheat flour in the stores is only packaged in paper bags, so unfortunately the reality is that store-bought whole wheat flour is already rancid when you buy it (which I believe is why so many people think they don’t like the taste of whole wheat), and devoid of the natural nutrients (which means they either add synthetic ones back in or just leave them out). Sorry if I sound like a walking encyclopedia, but I did A LOT of research on this when I was trying to justify a grain mill to my hubby years ago! Hope this helps! I appreciate your knowledge! (Love me a good encyclopedia article anyway! ;) I am convinced, but now I need to save up!! You’ll get there! FYI, keep your eyes open for sales on the Nutrimill. I don’t know if they’ll do it again this year, but for the last several years they’ve had sales around Mother’s Day on both the Nutrimill and the Bosch mixers. Any of the Nutrimill/Bosch dealers will offer the same sale prices, and many offer free shipping on items like this. Just shop around and find ones that offer free shipping and don’t have to charge you sales tax (every little bit helps!). Nutrimills will usually go on sale a couple times during the year, so when you find a dealer you think you want to go through, get on their newsletter email list so you can be notified of the sales. Good luck! You’ll love it once you have it! I am thinking about grinding my own flour, but was wondering do you grind a bunch of flour at once and store it, or just grind the amount your going to use each time you bake? A dilemma I am struggling with: if a farmer friend gifted you a bag of soft wheat & you discovered it was a genetically modified strain, would you still use it? Really? I’ve always heard that wheat is not a GMO crop – yet. Thanks Laura. I value your opinion and that helps. Yes, I love grinding my own wheat. I used to grind & use both hard & soft white wheat. Then we moved across the country & could no longer get local soft white wheat. So now we only use hard white wheat. The family never noticed, I think we had used whole wheat for enough years that they were totally fine.